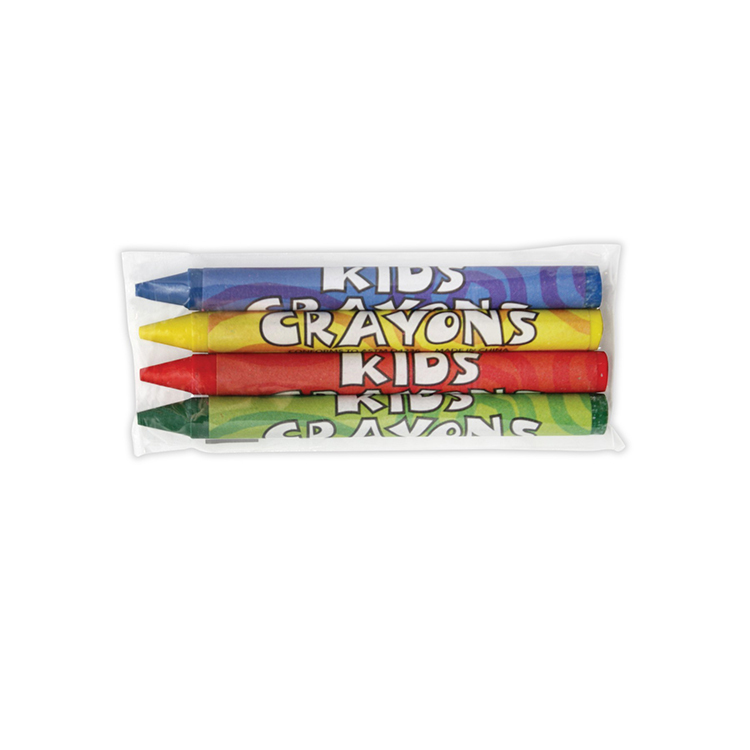 4 Pack of Non-Toxic Crayons. Contains four crayons (Green, Blue, Red, Yellow). Crayons can encourage children to be creative, non-toxic so parents and teachers needn't worry about. A great giveaway for police stations, schools and hospitals. Ideal for charitable organizations and restaurants. 3 7/16"" L x 13/16"" W"